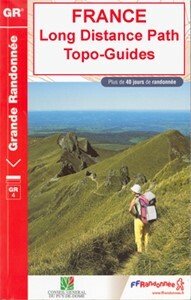 ABOUT THE FFRP (Fédération française de la randonnée pédestre) TOPOGUIDES: published in a handy A5 paperback format, the guides are the best companions for hiking along the GR routes, France’s extensive network of long-distance footpaths. Each topo-guide covers either a whole route or a part of a longer path (e.g. 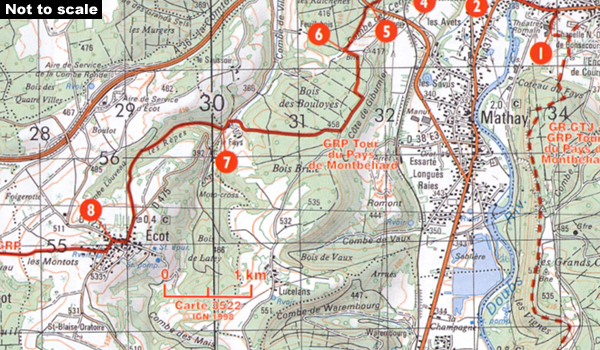 four titles for the GR 10 along the Pyrenees). The guides have COLOUR extracts from IGN's 1:50,000 or 1:25,000 topographic survey mapping overprinted with the route, with important points cross-referenced to the accompanying text placed on the adjoining page. The text is in French, but a large amount of information is conveyed by symbols (different types of accommodation, food shops, public transport links, etc). 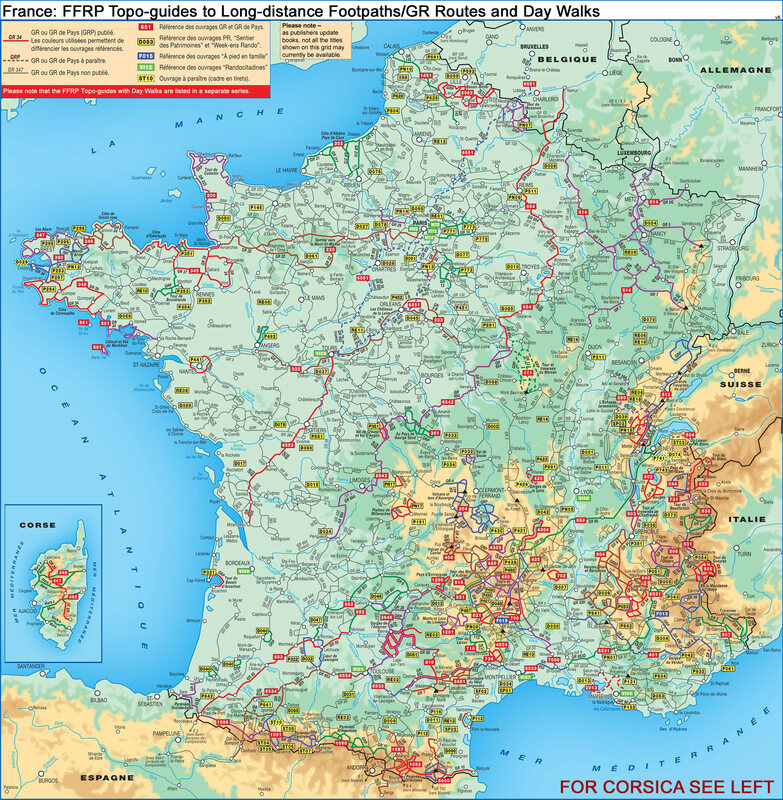 An important feature of each guide is a summary table showing what facilities can be found at each stage of the route, supported by an extensive “info practiques” section with more specific information and contact details for recommended accommodation, tourist offices, etc. The guides are published on high quality paper and include descriptions of the most interesting aspects of the surrounding region: historical and cultural sites, local specialties, fauna and flora, etc, all illustrated with colour photos. To see other titles published by the FFRP for long-distance hiking routes, including the other sections of the GR5, please click on the series link.